Alan Bisset has recently voiced, in an article published by the Guardian, his deep concern with the fate of Scottish literature along the lines of Alan Warner’s pre-indyref forecast (quoted in the same article) that a No vote would “create a profound and strange schism between the voters of Scotland and its literature,” and that it would ultimately “be the death knell for the whole Scottish literature ‘project’ – a crushing denial of an identity that writers have been meticulously accumulating, trying to maintain and refine.” One would certainly sympathise with Bisset and Warner’s thoughtful evocation of the central role played by Scottish writers not only in paving the way to devolution, but in re-imagining their nation – and indeed nationalism – for the 21st century. Such a role can hardly be overestimated and represents no doubt an extraordinary and distinctively ‘Scottish’ event. But if it is indeed realistic that this role will now change, in what are changed circumstances, and post-indyref Scotland is undoubtedly a changed country, it seems however doubtful that we will hear that death knell in the near future. In the past two decades or so the Scottish literature ‘project’ has grown and established itself globally – the Referendum campaign has actually contributed to attract unprecedented interest in Scotland’s political predicament as well as in its cultural and literary expressions. Arguably, interest has grown constantly and considerably over the past ten years, and has taken ideas of Scotland and Scottish literature to quite new places. It may not be surprising news that Scottish literature, as a field of studies, has long been developing in the US and Canada (the US Modern Language Association, for example, includes a very active Scottish literature discussion group, and both the US and Canada host several established centres for the study of Scottish literature and culture), or in New Zealand (the University of Otago hosts a prestigious Chair in Scottish Studies), or even in India (where the Indian Association of Scottish Studies will hold its first conference next year, 6–8 January, at Bankura University). All these countries have long had, after all, a solid connection with Scotland, via the British Empire, as well as a shared language. It is possibly slightly more unexpected that this field is gaining popularity in non-English speaking countries, and especially in continental Europe, where a growing number of scholars are today focusing on Scottish studies as their field of specialisation. If any evidence should be needed of this new, extremely promising and relatively recent developments of Scottish studies in this part of the world, the conference on “Place and Space in Scottish Literature and Culture,” held at the University of Gdańsk (8–10 October 2015), organised by the Scottish Studies Research Group at the University of Gdańsk and the Society for Scottish Studies in Europe , provides an excellent example. It gathered scholars from Austria, the Czech Republic, England, France, Germany, Italy, Poland, Slovakia and Spain, beside Scotland itself, and offered a remarkably dense programme – featuring, beside a wide range of papers, a memorable reading by John Burnside, a captivating performance of Alan Spence’s No Nothing (by Alan Riach and David Malcolm), the launch of the volume Boundless Scotland: Space in Contemporary Scottish Fiction , edited by Monika Szuba (one of the Gdańsk organisers), and a round table with John Burnside (University of St. Andrews), Glenda Norquay (Liverpool John Moores University), Alan Riach (University of Glasgow) and myself. Speakers covered different aspects of Scottish literature, from the 18th to the present day, in English, Scots and Gaelic, the work of canonical writers was discussed as well as that by authors often neglected at ‘home,’ such as Agnes Owen and Brian McCabe, engaged with off-the beaten-track topics (from the literature of the Orkney and Shetland to representations of rural and urban Scotland in daily newspapers), to explored space and place in Scotland’s literary texts and cultural production from a kaleidoscopically diverse number of perspectives – geographical, visual, ecocritical, postcolonial, feminist, historical and comparative. Spaces and places discussed included rural/natural as well as urban environments, canonical lieux de mémoir and iconic ‘edgelands,’ nostalgic/lost and future/utopic landscapes, bounded and open spaces, national and regional/local perspectives. The conference was aptly closed by a discussion of Jamaican writer Kei Miller’s negotiations of identity when he was based in Glasgow – connecting Scotland to spaces and places beyond its borders. This was by no means the first Scottish Studies enterprise in continental Europe. The Scottish Studies Centre at the University of Mainz, in Germany, and the Groupe de Recherche Études Écossaises’ at the Univer¬sité de Stendhal, Grenoble, in France were both founded in the early 1980s. The Société Française d’Etudes Ecossaises (founded in 2000) has organised an annual conference for several years and is admirably active and productive, while the younger Society for Scottish Studies in Europe, founded in Germany in 2011, is also setting up conferences and actively networking with scholars in the field. The Gdańsk event, like other recent, equally challenging international conferences held in recent years, managed to attract participants from different countries as well as, refreshingly, from different age groups, thus setting Scotland within a wider and more articulate European debate where, after all, it also belongs. Possibly unlike previous conferences it managed to reach an ideal balance between ‘outsiders’ and ‘insiders’ – between Scottish and non-Scottish scholars – and thus to blur a distinction that has never been explicitly stated, but that has haunted Scottish studies since its beginning. So, no, the death of the ‘Scottish literature project’ is not at all imminent. This is a project that has been shaped and nourished in the course of many decades by Scottish writers (shall we set its beginning with the Scottish Renaissance in the early 20th century? ), and is now out there, being acknowledged and revitalised beyond Scotland’s borders. At least as a literary/cultural entity Scotland, is today an independent country. This is no minor result and does deserve both recognition and celebration. 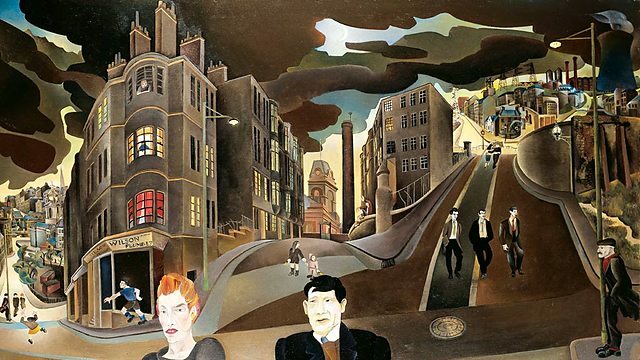 1) Alan Bisset, “Scotland’s no vote has forced its artists to rediscover ambiguity”, Guardian, 15 October 2015, http://www.theguardian.com/commentisfree/2015/oct/15/scotland-no-vote-artists. 2) The conference programme is available at http://noweszkoty.com/conference-2015/. 3) Edited by Monika Szuba. Wydawnictwo Uniwersytetu Gdańskiego, 2015. For more information see: http://noweszkoty.com/tag/boundless-scotland/. Literature. Don’t make me laugh. The author and recipients live in scrounger planet and try and make serious drivel serious. Carla, I can´t see what the extension of Scottish Studies to mainland Europe has to do with the Warner/Bisset argument, for all that the news is welcome to me. On the other hand, surely, with an all conquering national party bloated with cash running Scotland and representing us in London, Scottish artists can now feel free to devote their talents to more fertile terrain than the national question, which has been done to death. Any writer should write what he or she feels compelled to write, not be hamstrung by a pre-conceived set of nostrums. As for Alan Warner and his talk of “accumulating an identity” I confess I don´t know what that means. What does it mean, EXACTLY? Likewise, when Alan Bisset in his Guardian piece talks of Scottish writers “sculpting a distinct identity out of the stone of Britishness”…..I reject that too. Why out of Britishness? Why not out of world literature? And why should Scottish writers feel they have to constantly deal in the identity question? The “national writer” is an invention of Romanticism, and the 19th century was the century when the novel was central to society in a way it just isn´t today. The figure of the “national writer” doesn´t exist anywhere else in Europe I know of to nearly the same extent as it does in Scotland, though maybe it doesn´t exist in Scotland either, except in the minds of certain writers. This is a wonderful article Carla which I very much enjoyed. I am glad to hear that there is curiosity about Scotland and her literature and history in mainland Europe. I cannot agree with the two previous commentators that Scottish literature is worthless. That is equivalent to saying Scotland and Scots are worthless. Yet would those same commentators say that about any other people or nation? Of course all art takes places both globally and locally these days, as since the dawn of civilisation. Writers, poets, scholars, artists, have always drawn on material available to them from the known corpus of their oeuvre, but have shaped their output, whether consciously or subconsciously, by the events and cultural milieu in which they were situated. Chopin was Polish, though he spent much of his life abroad. Shostakovich was Russian, and spent almost his entire life under Stalin’s Russia. Would anyone seriously challenge that theirs was part of the national traditions of their countries irrespective of their international influences and appeal? And what of Scotland’s situation? Isn’t our history and experience unique and worthy of consideration? One of the oldest nations in Europe, but one which ‘voluntarily’ ceded our sovereignty in an age of empire and great power politics in order to build with the English the greatest empire the world has ever known, but which increasingly, post-empire, has become a colony of England and now seeks to re-emerge, and claim back the self-determination she was induced to partially surrender? We are Ultima Thule, the last land on the farthest outpost of Europe. Our history is unique and our voice should be heard. But for too long we have been a submerged nation, but now we are awake. Eh, MBC, I didn´t say Scot lit was worthless or in fact say anything about the quality of Scottish literature at all, which speaks for itself. What I said is that Scottish writers should write what they are drawn to, what they feel compelled to write about – the essential reason all writers write, all writers anywhere. If what compels them is the national question, fair enough. But there are lots of other things to write about, and a great deal has been written about the national question already, so it´s harder to say something new there. You didn’t say that, directly. You implied it, by downplaying the referendum and recent events as trifling. Again, by implying such. The condition of Scotland affects us all, the unionists no less than the nationalists; the events of the last year have been momentous. If anything unionists are more shaken by it all than the nationalists have been stirred by it. A revolution has occurred and its effects are ongoing. A tsunami, according to MacWhirter. The 45% and the clearing out of Labour have been nothing short of astonishing. A political earthquake has occurred the like of which has never been witnessed before in these islands. We are in the process of self-discovery, of self-understanding. An awakening. You want to go back to sleep after that? For an artist not to respond to that, either consciously or unconconsciously, would be remarkable. Note what I said there – either consciously or unconsciously. A lot of wheels are coming off a lot of wagons. The political landscape is transforming. We are living in remarkable times. Plus, novels about great historical events – if you are are right and 18S was a great historical event for Scotland; I´m not so sure – tend to be written years AFTER the event happened: Tolstoy, Stendhal, Scott for example…. Yeah, you’re not really getting what I’m saying. The clue is in my point about one’s creative response to things frequently being unconscious. And there you go again, belittling Scotland and the events of the last year… they’re no big deal… get back in your box…eat your cereal… it’s business as usual. That’s what you unionists want, isn’t it? Get over it? Crawl back under our stone? MBC, you must be an example what Nicola was referring to when she talked of convincing NO voters, eh? Five minutes of your patter would be enough to make the most die-hard nationalist wonder seriously whether indie is a good idea, given that it is supported by monothematic, paranoid and fanatical cranks like yourself…. I think Scottish writers should write whatever they like. How can any rational person object to such a statement? And why does that make me a Unionist? Or do you and the SNP get to decide the course of Scottish letters? Maybe we send you our prose for a greenlight, is that the idea? Sounds kind of totalitarian to me…. …as for creative responses being “frequently being unconscious”….more rehashed romanticism…. that is not what this article is about. It´s about whether “the Scottish literature project” has a future….whether Scottish writers have to continue to be the vanguard and spokespeople for independence or not….a conscious decision. Scotland was an English vassal State, no more a submerged Nation. Despite being taught by the English to reject our Gaelic culture. people are beginning to understand the beauty of it’s song and dance. The interest our literature is exiting. there are many who would like us to reject our Scot’s identity. Replace it with an English identity? Binary Options Mobile Trading is a really nice, humorous and mind recreation with a wonderful background music and sound.